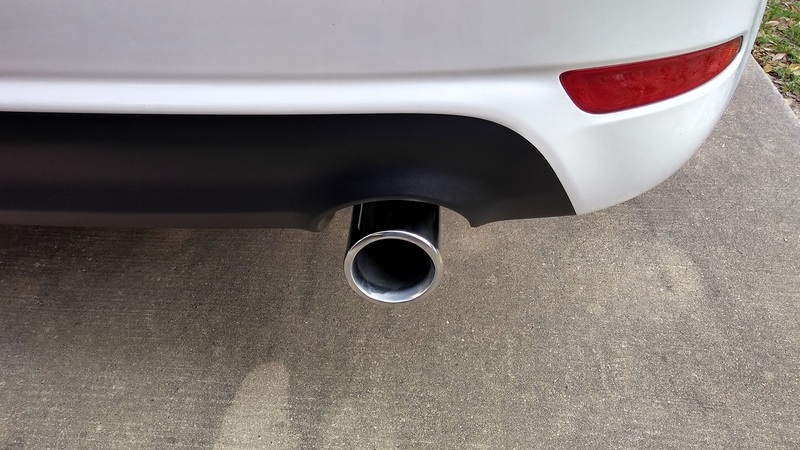 I once again tapped Evilla Motorsports, this time for their axle back exhaust for the 2nd gen Forte5. The exhaust arrived today, and the first thing that struck me was how light it is. It's very well constructed, too. The installation was so easy I don't have much to write about it. I just backed my car onto ramps in the street (my 300zx project is still consuming my 2-car garage) and did the work there. There are just 2 nuts that need to be removed to disconnect the original exhaust. I sprayed some PB Blaster on them, but my cordless impact driver removed them with ease. After removing the 2 nuts, I moved to the back of the car and slid the 2 sets of prongs out of the rubber hangers, and the oem exhaust was out. It was that easy to remove. Installing the new exhaust was just as easy. I fed the pipe into place and pressed the pair of prongs into the rubber hanger. Then I moved to the connection point, aligned the two pipes up, placed the gasket in between them and fed the two bolts with washers and lock washers through the holes. I hand tightened the two nuts, then moved to a socket on top to hold the bolt in place while using another socket wrench on the nut to tighten it. I went back and forth a few times between the two to evenly tighten them. 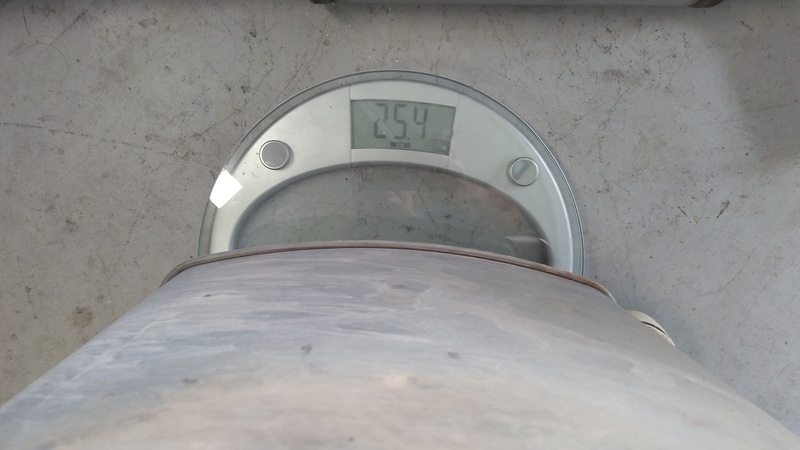 Since there was such a big difference in weight I decided to go ahead and weigh them both. The moment I started the car I knew I made a good choice. The sound is so much nicer than stock. It has a very smooth note, not obnoxious or too loud. I revved the engine a few times then shut it down to clean up. I've done a few short drives now, and it really is a huge improvement over stock. When cruising at any speed you don't even hear it, but step on the throttle, and it rewards you with a very pleasing sound. Coupled with my CAI I really love the way my car sounds now. 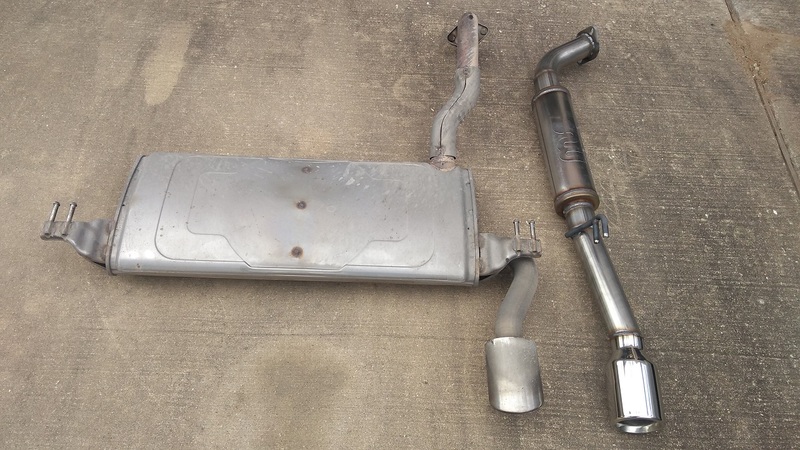 I highly recommend this exhaust upgrade if you're looking for one! Last edited by carl_2112; 03-20-2019 at 12:12 AM. Just a quick follow-up on this. After a bit of driving I noticed the exhaust was getting a bit louder, and I suspected there was a leak where the new exhaust was joined. So today I took it apart to inspect it, and sure enough, there was clearly a large exhaust leak. 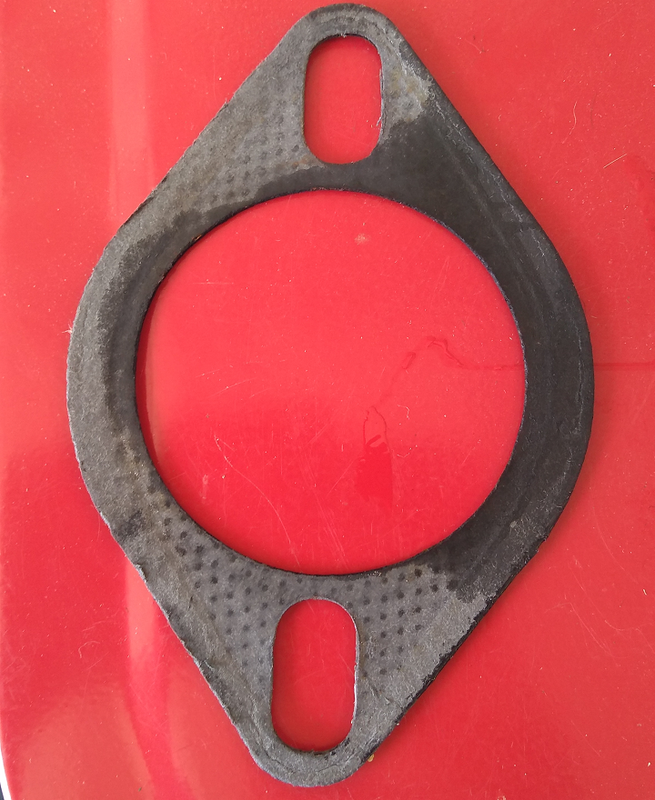 The new exhaust came with this gasket, which you can see was compromised. This could have been an installer failure (mine). I ordered a new Kia gasket, which was a multi-layer metal gasket, very different from what came with the new exhaust. Well, it turned out the gasket I ordered was not the correct one. The internal opening was larger than the original, and the bolt holes were too far apart. I still need to figure out where that went wrong. So I decided to reuse the original gasket for now. 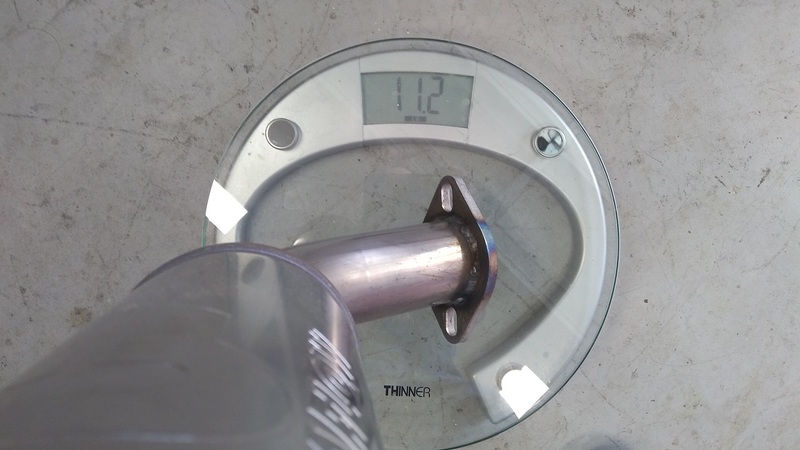 I cleaned it up on my wire wheel and used some max temp Permatex RTV on both sides. I also sanded both exhaust surfaces to make sure they were flat and clean. I let it sit all day before driving it at all, and after a short drive the exhaust is once again awesome. Last edited by carl_2112; 04-12-2019 at 11:49 PM. I finally had a chance to stop by the Kia dealer today to figure out where I went wrong with the OEM gasket I ordered. As I suspected, the gasket I ordered online after much searching, including using my VIN to filter out products, was for the 1.6 turbo, not the 2.0 NA. Part # 28751 1M000 is the correct exhaust gasket for the 2.0 NA. 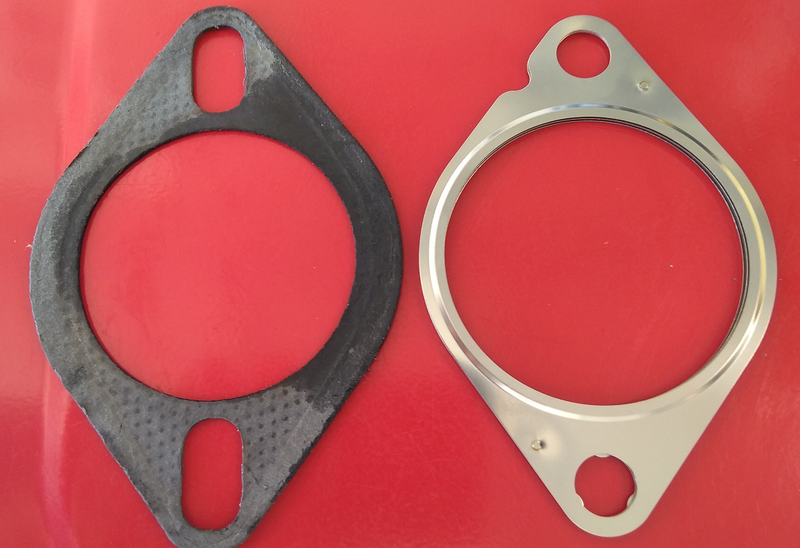 Part # 28751 1M100 is the correct exhaust gasket for the 1.6 turbo. Lesson learned about looking up parts online.